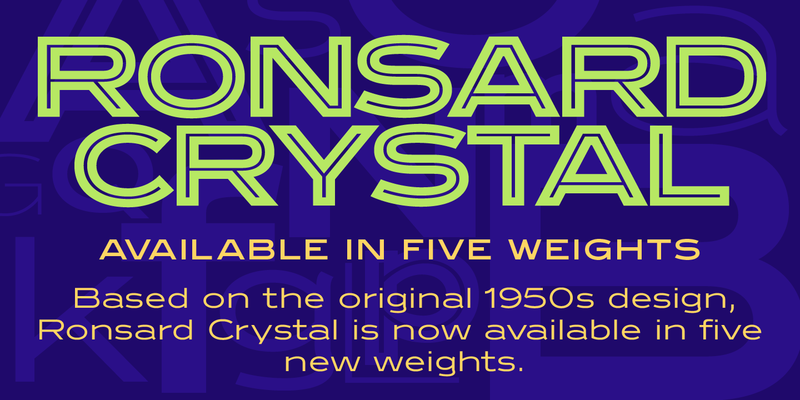 Ronsard Crystal is a wide sans serif font family that traces its origins to a single-weight photo-lettering font from the 1950s. 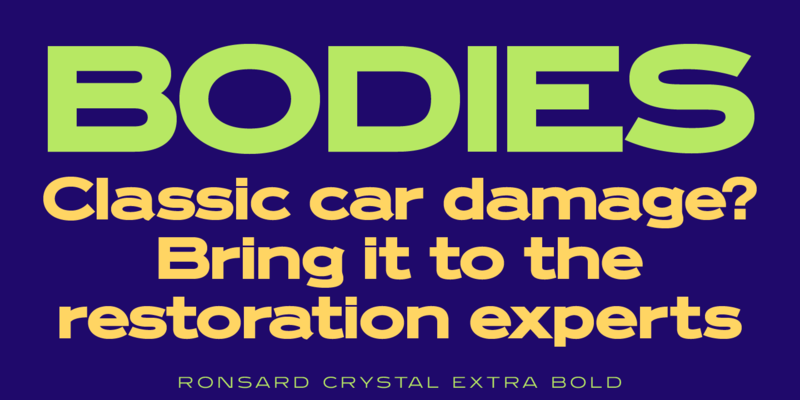 It was created and produced by Steve Jackaman (ITF) and Ashley Muir in 2009. 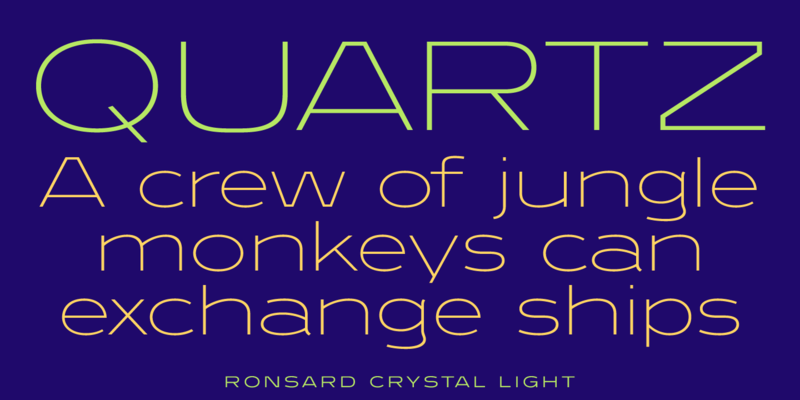 Jackaman liked the inline version so much that he and Muir created four traditional weights to complement it. 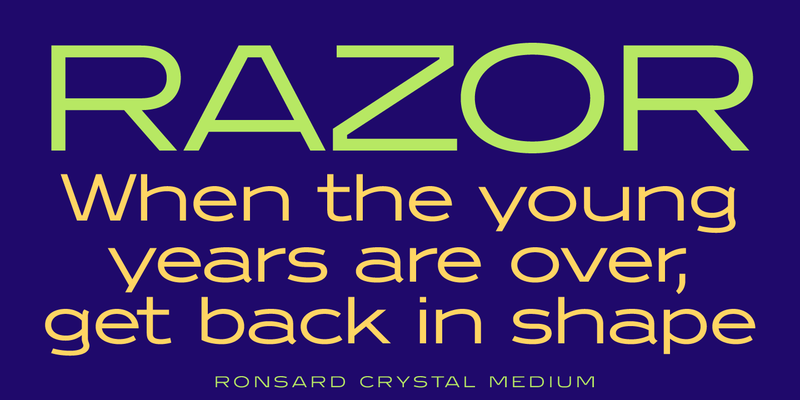 Ronsard Crystal works in all text sizes, and has a blocky feel that would not be out of place in a modern ad campaign. 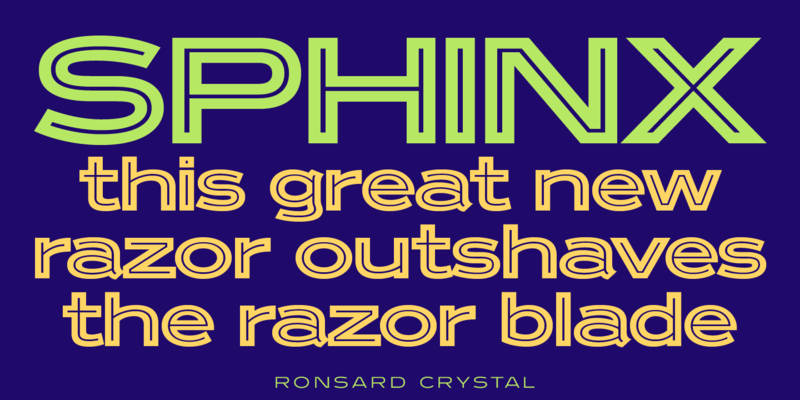 The light weight looks particularly attractive at paragraph sizes, and the inline commands attention wherever it is used. 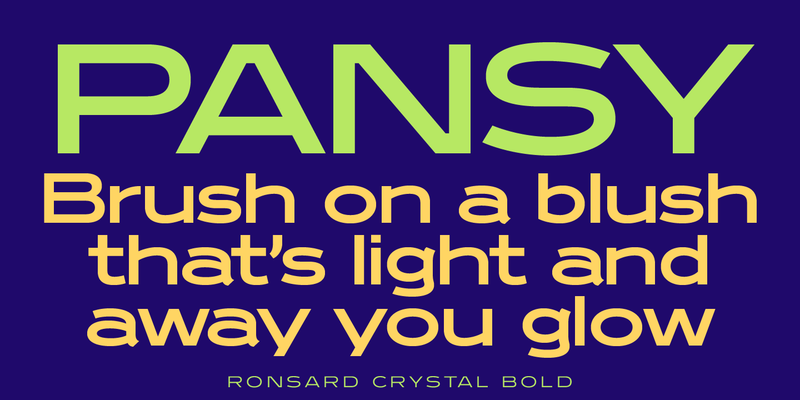 Ronsard Crystal is a trademark of International TypeFounders, Inc.